in excess of a certain statutory maximum. 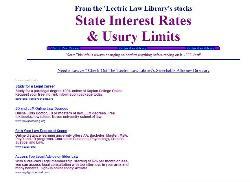 This is a "usury limit." exacted from someone who owes another money is also counted as interest.